Dubai: Leading Dubai-based banks reported that their 2018 financial results last week all showed a strong proft growth on the back of improved asset yields, loan growth and a significant reduction in provisions and operating costs. Emirates NBD, the largest Dubai-based bank, reported a net profit of Dh10 billion for 2018, up 20 per cent on the year. Total income for the year ended December 31, 2018 stood at Dh17.4 billion — 13 per cent higher when compared the Dh15.45 billion posted a year earlier. Net interest income was up 19 per cent in 2018 to Dh12.88 billion, driven by loan growth and better margins. The improvement in net interest margins was aided by interest rate rises. “Emirates NBD delivered a record performance... underpinned by higher income and a lower cost of risk. Margins widened 35 bps [basis points] in 2018 as rate rises flowed through to the loan book, which more than offset a rise in funding costs,” said Shayne Nelson, group chief executive officer. Commercial Bank of Dubai (CBD), another major bank, posted a net profit of Dh1.16 billion in 2018, up 16 per cent on year. The bank’s fourth-quarter net profit, at Dh319 million, was 13 per cent higher that the Dh282 million seen in 2017. The strong profit growth came on the back of a 3.1 per cent increase in operating income, a 4.7 per cent decline in operating expenses and a 4.8 per cent fall in impairment allowances. Operating income for 2018 rose 3.1 per cent to Dh2.72 billion on the back of a 5 per cent increase in net interest income (NII) on loan growth and a 1 per cent fall in other operating income. “CBD posted a strong set of results for 2018, lifting our returns whilst delivering on our strategic agenda,” said Dr Bernd van Linder, chief executive officer of CBD. The bank also managed to keep operating expenses lower, by 4.7 per cent, at Dh858 million, resulting in the bank’s cost-to-income ratio improving from 34.1 per cent in 2017 to 31.5 per cent in 2018. 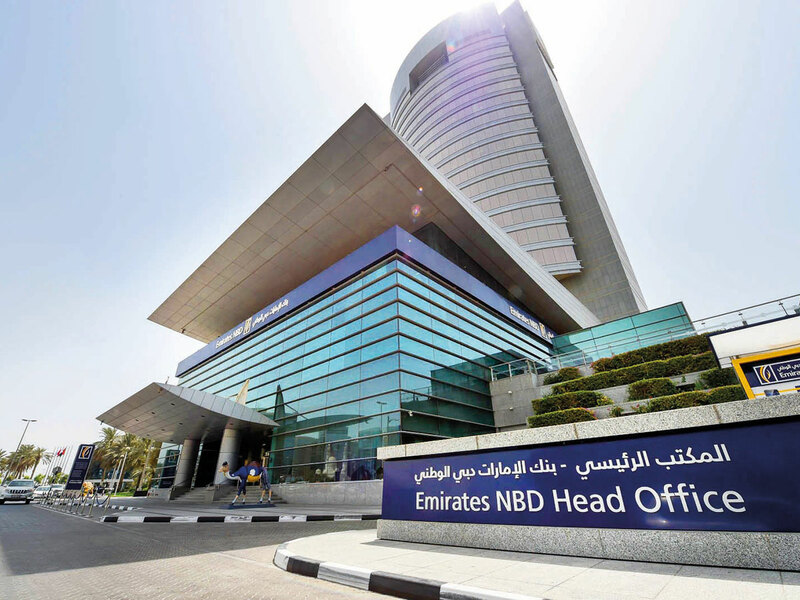 Both Emirates NBD and CBD reported strong growth in loans and deposits, despite the challenging operating environment. CBD’s total assets increased by 5.2 per cent to Dh74.1 billion as of December 31, 2018, compared to Dh70.4 billion at end of 2017. Loans and advances grew 7.8 per cent year on year to Dh50.9 billion while customer deposits grew 9.8 per cent from the Dh48.4 billion reported in 2017 to Dh53.2 billion. Emirates NBD, on the other hand, reported an 8 per cent growth in loans in 2018 while deposits were up 7 per cent. Mashreq, another major bank, maintained strong profits with a modest year-on-year profit growth of 0.4 per cent to Dh2.1 billion for 2018. “As all of you are aware, 2018 was a difficult year due to market fluctuations. However, we rose to the challenge and managed to sustain our revenues,” Abdul Aziz Al Ghurair, Mashreq CEO. The bank reported strong balance sheet growth last year, with total assets up 11.8 per cent to Dh139.9 billion, while loans and advances registered a 10.4 per cent growth on year to Dh69.3 billion. Customer deposits were up 9.4 per cent at Dh83.2 billion while the loan-to-deposit ratio remained robust at 83.2 per cent at the end of December 2018. Mashreq maintained sustained strength in asset quality throughout 2018.